The University of Allahabad shall conduct Combined Research Entrance Test- 2018 (CRET-2018) online at different centers for admission to the degree of Doctor of Philosophy (D.Phil.) (hereinafter referred to as D.Phil. Programme) of the University of Allahabad for the session 2018-19. Interested candidates can read complete details regarding Allahabad University CRET 2018 such as application form, eligibility criteria, test fees etc. on this page. 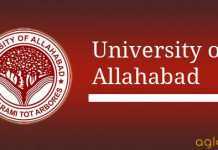 Latest: Admit Card of Allahabad University CRET 2018 has been released. Scroll down to download the same. Allahabad University has released notification for Combined Research Entrance Test- 2018 (CRET-2018) for admission to the degree of Doctor of Philosophy (D.Phil.) (hereinafter referred to as D.Phil. Programme) of the University of Allahabad for the session 2018-19. All the necessary details of CRET 2018 are given below. Candidates are advised to read carefully eligibility criteria and other details before submit the form. Schedule for Allahabad University CRET 2018 is given below. The candidates had to fill and submit the form online, in accordance with the instructions given in the official Website and also summarized in this page. Candidates must ensure their eligibility before online application. Candidates can also fill their application online from the direct link provided below. Take a Print-out of this Bulletin (Information and Guidelines) and read it carefully. Take a Print-out of the CRET-2018 Syllabus of the Subject in which he / she desires, and is eligible, to appear. Read thoroughly the Instructions for the filling and submission of the Online Form. Review and ensure the correctness of the details of his/her academic record at the High School and Intermediate (or equivalent) and the Graduation and Post graduation level, for purposes of making required entries in the On-line Form. Get his/her latest Passport-size Color Photograph and his signature scanned by Computer, so that the scanned Photograph and Signature can be submitted with the On-line Form. The original of the scanned Photograph should be carefully preserved for submission to the CRET-2018 Committee. Though it is not mandatory, it is advised that if the candidate does not already have an e-mail address (e-mail ID), he/she should create for himself/herself a valid email ID, in order that the CRET-2018 Committee may send him / her significant instructions or information (as per need) by e-mail. All candidates seeking admission to the D.Phil. Programme of the University of Allahabad for the session 2018-19, in the subjects listed in para 2.01 (of Section 2), shall have to qualify in the COMBINED RESEARCH ENTRANCE TEST (CRET-2018) to be conducted by the Allahabad University at Allahabad. All candidates, including candidates exempted in Level 1 Test, shall be required to fulfill the following ELIGIBILITY CRITERIA for appearing in CRET-2018and for admission to the D.Phil. Programme. Grade/Grade Point under the seven-point Letter Grade Scale), laid down by the UGC in the case of General candidates and 50% marks (or the equivalent Letter Grade / Grade Point) in the case of OBC / SC / ST / PH candidates. Note : A candidate who does not fulfill the aforesaid Criteria shall not be eligible to apply for and to appear in CRET-2018 and to be admitted to the D.Phil. Programme. Level I of CRET-2018 Test will consist of two papers. Paper I will have 25 objective type questions of 2 marks each. Paper II will have a subjective type. questions with small, medium and large type answer: The duration of Paper I And II will be 30 Min and 120 Min respectively. The total marks of Paper I and II will be 50 and 250 respectively. Total marks of both papers will be 300. Both papers will be held in a single meeting. The above information is also given below. In paper II there will be 3 questions as per details are shown in Table below. Both Papers shall be based on the subject selected by the candidate. The Level 2 Test shall entail an interview and may include Presentations, group discussions or other modes of appraisal and shall be administered by the Doctoral Programme Committee of the Department / Institute / Centre concerned. All the candidates selected by the University Grants Commission (UGC) / Council of Scientific and Industrial Research (CSIR) for Junior Research Fellowship (JRF), subject to the validity norms of the respective fellowship. However, such candidates who have been selected for Junior Research Fellowship (JRF) are desires of appearing at Level 1 of the CRET-2018 examination, they are allowed to appear in CRET-2018 examination conducted by University of Allahabad. Provided further the eligibility of such candidates shall be determined only on the basis of the marks obtained by him/her in the CRET examination. Candidates for D.Phil. in the Department of Electronics and Communication with M. Tech / M.E. in Electronics Engineering or equivalent subjects or M. Tech / M.E. in Computer Science and Engineering or equivalent Subjects. Further, an exemption shall be granted to all such candidates who are holding M. Tech/M.E. 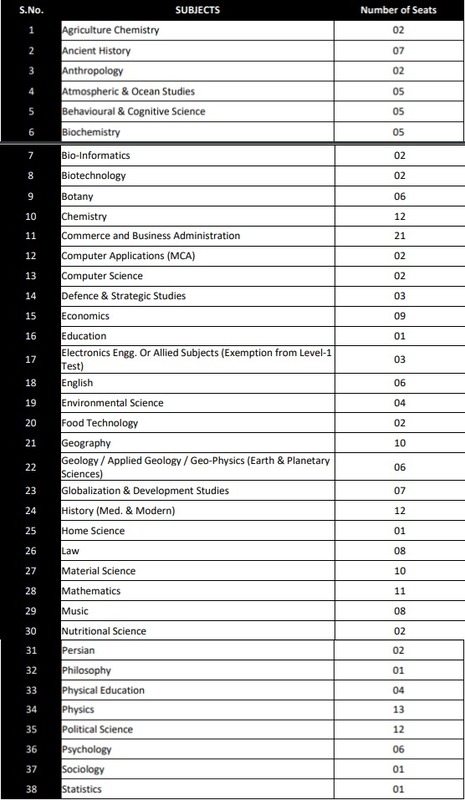 degree in allied / equivalent subjects. Candidates for D.Phil. in the Department of Earth and Planetary Sciences with M. Tech. in Geology/Applied geology or Geo-Physics (or equivalent subjects). Candidates for D.Phil. in the Department of Earth and Planetary Sciences with M.Sc. in Geology/Applied Geology or Geo-Physics (or equivalent subjects) who have valid GATE score before the last date of applying for CRET and have a GATE Score of not less than 75%. Serving Army, Navy and Air force Officers with not less than 15 years of service and holding the rank of Colonel in the Army, or equivalent rank in the Air Force/Navy, who are applying for D.Phil. in the Department of Defence and Strategic Studies are exempted from Level 1 and be separately assessed at level 2 against a specified number of vacancies. There shall be negative marking in objective-type questions. For every correct answer 2 marks will be awarded and for each wrong answer 1/2 mark will be deducted. A candidate who fails to secure the minimum qualifying marks in the respective social categories (i.e. UR, OBC, SC and ST) shall stand disqualified for level II. A list of eligible candidates for the Level 2 Tests shall be drawn up, in according with the considerations specified in sub-para 1.08.4, from amongst the following categories of candidates fulfilling the eligibility Criteria. Vacancies in any Department / Institute / Centre/unit in any session will depend on the number of approved research supervisors of the subject/unit/ center concerned. As such, CRET 2018 Committee shall determine the number of vacancies as intimated by the respective Head/Coordinator of the Department / Centres in the respective subject/unit/centre concerned. The number of candidates (from amongst those qualifying for Level 2 Test on the basis of the written tests and those exempted from the Level 1 Test) to be called for the Level 2 Test in the respective subject/ unit/centre shall be determined on the basis of the vacancies as intimated by the respective Head of the Department / Director / Coordinator concerned. Admission to D.Phil. Programme in a unit shall be finalized in the context of the availability of seats (vacancies) under the approved supervisors in the concerned Unit/Department and the Reservation rules. Accordingly, the University reserves the right to determine the admissions to the D.Phil. programme in each unit as per relevant provisions of First Ordinances of Allahabad University (Ordinance LVI) and the Reservation Policy. Exam Centers: Admission test for level 1 ( Paper I and Paper 2) will be conducted only through offline mode at Allahabad, Delhi, Varanasi, Gorakhpur, Lucknow, Agra, Patna, Bhopal, Bareilly, Bangaluru, Kolkata, Srinagar, and Kanpur. Further, if the number of candidates at any center is less than 25 (Twenty Five)then in such case the registered candidates will be allotted Allahabad or the nearest center. 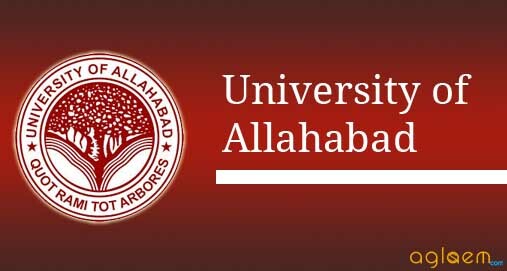 A candidate can appear only at the center allotted by the University of Allahabad on the admit card. No TA/DA will be provided for appearing of written test and presentation for Level 2 test. For More Detail of Allahabad University CRET 2018 – Download Information Brochure.